Andrew Skurka has written The Ultimate Hiker’s Gear Guide “from the perspective of an unapologetic Ultimate Hiker” which he defines as a “backpacker who simply loves to walk.” And while he has written this book to be targeted at hikers who would like to be more like an Ultimate Hiker, this book is still very valuable (and personally recommended by myself) for beginner and intermediate hikers as well. When writing this book, Andrew refrained from making this book into another “Lightweight Backpacking” book, although he does admit that weight is an important consideration for the Ultimate Hiker. However, his focus lies in “comfort, safety, durability, efficiency and the best use of our gear.” As well, a great feature of the book is the fact that he does make reference to specific brands, products, prices and weights, but when doing so, he is emphasizing the gear type rather than the particular brand. When we head out on the trail, are we packing to camp, or are we packing to hike? So, what’s the difference? The Ultimate Hiker is a backpacker who loves to hike from dawn to dusk, and maximizes our on-trail comfort by packing light. On the other hand, the Ultimate Camper usually hikes a shorter distance and enjoys spending time in camp rather than hiking the trail. However, he admits that neither of the two is superior to the other, but that this is simply more of a personal preference, although gear consideration for either of the two is an important factor. And this is not to say that one person can’t be both either. It just depends on what the goals are for each trip. Andrew states that there are 3 questions that he asks himself before each trip and that by honestly, accurately and correctly answering these questions will allow him to have the most successful backpacking trip. He also encourages us to do the same before heading out before each trip. What are the environmental and route conditions that I will likely encounter during my trip (such as temperature, precipitation, and water availability)? What gear, supplies and skill will best help me achieve my objectives and keep me safe and comfortable in those conditions? The first two questions Andrew covers in section one of his book: “Why, When & Where” which I briefly discussed above in this post. The second part of the book, “Tools & Techniques” answers the third question. In the second section (the gear-geek section), Andrew discusses everything from the underwear that covers our bum to the pack on our back, and everything in between. This section is filled with Andrews experience and observations with various pieces of backpacking “gear” through extensive trial and error, as well as research. 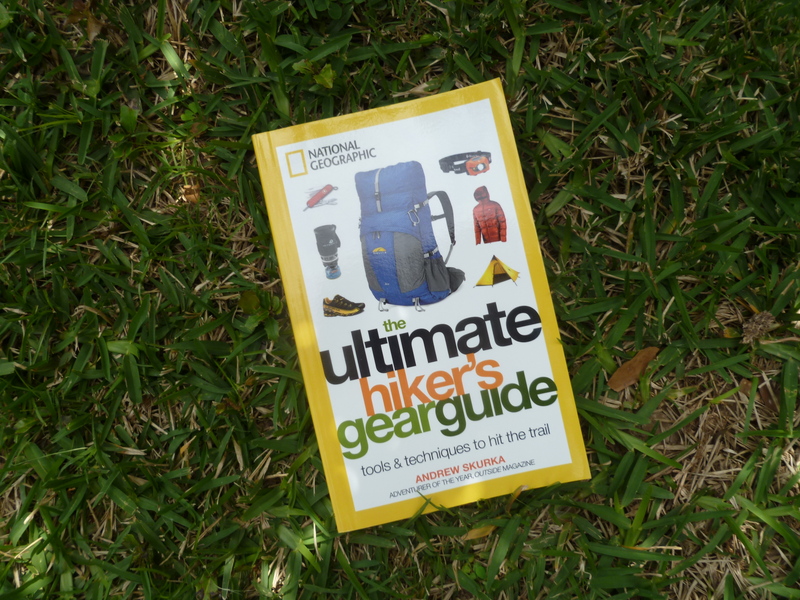 This section is filled with discussion on all sorts of items needed on the trail, as well as tips, how-to guides and charts. Andrew also shares more of his personal experiences in his “Tried & True” and “Skurka’s Picks” sections. 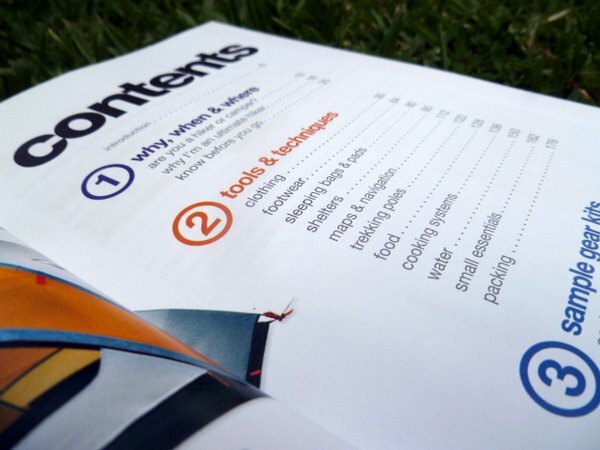 He also includes tips and a chart for “Gearing Up On A Budget” as well as a glossary at the end of the third section of the book. I found this book to be very fun and easy to read, and of course very informative. I read through it with a highlighter with the idea of highlighting the “good” parts, and well, now my entire book is yellow! 🙂 The book flowed from one subject to the next which made it that much easier to read. Now that I am done, the only thing that I wish was different about it is that I wish that it had been around when I first started backpacking! I highly recommend this book to anyone who backpacks or even wants to backpack. No matter whether you are a newbie hiker or a long time experienced hiker, a part-time or a full-time hiker, a heavy hauler or an ultralighter. I feel like this book will have something to offer to anyone who will read it, so I encourage you to pick up a copy if you haven’t already. And heck, while you’re at it, pick up one and give it away! Andrew’s book is available through a few different retail sites, however, if you order the book from his personal site, he will sign it for you before it ships! (Score!) You can get there by clicking here (and no, I will not receive any $$ for any purchases through this link). Disclaimer: The author of this post (me) purchased this book with my own monies and was under no obligation to write a review on it. I did so because I thoroughly enjoyed the book and feel like it has lots to offer to the backpacking world.